Fugitive Malaysian financier Low Taek Jho is facing new charges of laundering more than $1.0 billion, in a massive corruption scandal surrounding state fund 1MDB, police said Wednesday. The extraordinary 1MDB controversy allegedly saw billions looted from a Malaysian government investment fund, fuelling a worldwide spending spree including on super yachts and Van Gogh artwork. Low, commonly known as Jho Low, is accused of playing a central role in plundering the investment fund. He was an associate of Malaysia’s former leader Najib Razak, whose government lost power in May in large part due to allegations that then premier was involved in the vast fraud. 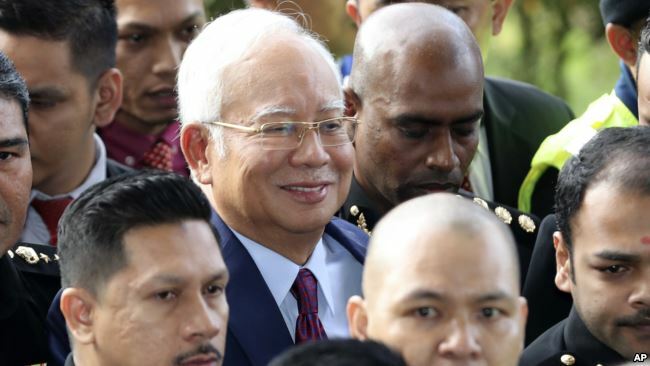 Since being ousted, Najib has been hit with a barrage of charges linked to the scandal. He denies any wrongdoing. The new money laundering charges, allegedly committed between 2009 and 2014, were filed in a court in the capital Kuala Lumpur on Tuesday. Besides Low, 37, four others linked to 1MDB including a business development manager and a finance director were also hit with charges including criminal breach of trust. “An arrest warrant has been obtained from the court and efforts are being intensified to arrest the five individuals who have left Malaysia,” Mohamad Fuzi Harun, inspector-general of police, said in a statement. The additional charges include five for allegedly laundering $1.03 billion and another two for laundering $126 million. In the past, Malaysian officials have said that Low could be holed up in China after he fled Macau, where he was last known to be. Malaysian police in August had filed eight charges against Low and one against his father Low Hock Peng, all related to money laundering. Last month the US Justice Department also announced charges against Low, an alleged mastermind and an intermediary to the Malaysian fund.